Spring is here, and summer is on its way. With the change of the seasons comes the connotation of sun, fresh breeze and the resurgence of life. One of the exciting things about the seasonal transition is the return of the local farmer’s market. Fruits, veggies and the occasional baked good make these markets a treat, offering access to home-grown, unique products. Here are five reasons why we love farmer’s markets. Fresh is Fresh. It’s no secret that fruits and vegetables often get a bad rap from kids and adults alike. However, once you’ve tasted a fresh, right-off-the-farm fruit or vegetable, your taste buds will rejoice. With healthy goodies this delicious (I’m talking to you, organic corn and orchard-fresh peaches), a trip to the farmer’s market is more than worth it. Get Baked. Although the farmer’s market is usually synonymous with fruits and veggies, there are often other items available for sale. If you’re looking for something a little more delectable, baked goods are definitely the way to go. Scones, cookies and homemade pies, baked by a local mom-and-pop operation, are truly the way to a brighter day. Clean it Up. Occasionally, a farmer’s market vendor will offer up selections of handmade soaps, lotions, household cleaning items or candles. Different from most store-bought products, these are often made from natural ingredients, such as goat’s milk, lavender and other herbs. Not only are these products better for the environment, many of them also boast benefits to your body, skin and health. It's Story Time. 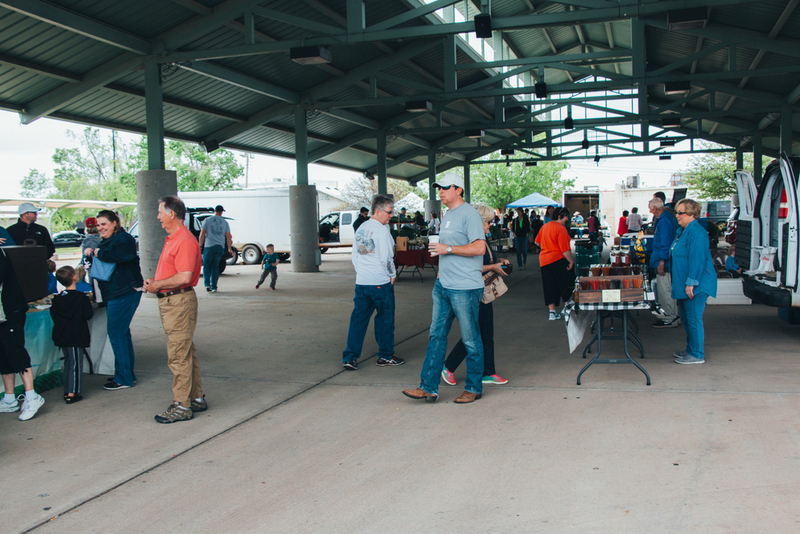 With a variety of vendors, the market’s products are grown, made and sold by local farmers and families. Each vegetable stand and bake sale table has a story, and discovering those stories is a unique part of the farmer’s market experience. Community is the Key. While it’s true that fresh produce and homemade products are as good as gold, the sense of community that develops within the environment of a farmer’s market is a one-of-a-kind connection. Supporting and interacting with fellow Oklahomans is something that strengthens the community and is simply too special to miss.